It's hard to believe it's actually over, but for more than two years we've followed what has come to be one of our favorite topics as Blu has faced Red in a battle to be the next physical home media format. In the end it came down to studio and consumer electronic industry support -- not to mention the PS3 -- but it was by no means an easy victory, and just because it was more popular than HD DVD, doesn't mean Blu-ray can win over the hearts of millions of DVD fans. But while we wait to see how well Blu-ray is adopted by the masses, we wanted to take a second to look back at how it all ended up working out. We'll start this story way back in the Summer of '05 where the talks to create a unified format broke down: this is the moment most of us realized we were in for some fun. Sure, this thing got started way before that, but we have to start somewhere and this is when it really began to get interesting. As HD DVD approached the BDA to join forces and demanded too many changes to the Blu-ray disc format, the BDA told them to pound sand. Now that we knew there was going to be a format war, all that was left to do was wait -- and we did plenty of that as we saw the delay of the HD DVD launch from late '05 to the Spring of '06. Things were going to get worse before they got better, as two studios who had originally promised HD DVD exclusivity had announced in the Fall of '05 that they'd also release titles on Blu-ray. Paramount was the first studio to go purple, followed by Warner a few days later. This had many people wondering if this war would be over before it started, as Universal became the only remaining major studio to exclusively back HD DVD. Of course we all know now it did get started, but as we waited for things to kick off, Netflix let its intentions to support both formats be known. At the 2006 Consumer Electronics Show, we all oohed and aahed over the beautiful sights at the Blu-ray and HD DVD booths. Still, it was very apparent by the number of prototypes that Blu was going to have more hardware support, but HD DVD had the time advantage and was due to hit the streets in March. But March came and left, and HD DVD was delayed again, but this time by about a month to April 18th, 2006. No one knew how good either format would be, and while some assumed Blu-ray would look better because of it's capacity advantage, some were worried it wouldn't matter. In fact, many believed the studios would down convert the 1080p signal over component video which was the most common connection at the time. That fear was soon put to rest as one by one each studio announced it wouldn't set the Image Constraint Token (ICT) -- yet. Although a few were lucky enough to find HD DVD players and titles for sale a few days early, most of us had to wait for the official release which came on April 18th 2006. Overall, the reviews were good, but the hardware was less than perfect and was most definitely first gen. Luckily, we didn't have to wait very long for replacements. 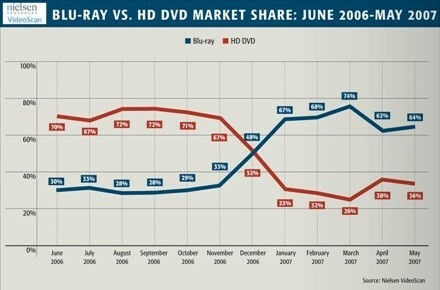 Potentially more important, however, HD DVD had beaten Blu-ray to market by about two months -- thanks to Samsung delaying the first Blu-ray player. Alas the wait was finally over and the format war officially started around June 15th as the Samsung BD-P1000 hits the streets. But as reviews starting to pour in, there was trouble in the Blu camp as some of the transfers from film were terrible -- so bad in fact, that a few titles were later replaced for free. This, combined with a bug in the first player that messed up its noise cancellation circuitry, left many thinking HD DVD was the clear choice for videophiles. But this wasn't the only problem -- most of the initial Blu-ray titles released were using MPEG2, which by itself doesn't pose much of a problem, but due to some issues producing BD50 discs, the authors of the discs had to make it all fit on a single layer disc (25GB). At this point, many in the Red camp were claiming that BD50 discs were a myth and would never come to market, and although it took about four months, on October 10th 2006, Sony's Click was released on Blu-ray as the first BD50 title. Although the format war had officially started, we all knew things were just about to get rolling when the game consoles entered the scene. 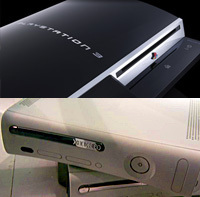 And in November, both the PS3 and the Xbox 360 add-on HD DVD drive were released. The PlayStation 3 had the craziest price anyone had ever seen on a gaming console at $499 (20GB), and although many were skeptical about its abilities as a Blu-ray player, it not only was the cheapest option at the time, but it was also by far the best. The Xbox 360 add-on was only $199, but required an additional purchase, making the two options very comparably priced. At this point, the debate of which would help their format was out of control. Claims were made in both directions about gamers and playing movies on a gaming console, but ultimately the PS3 was outselling the add-on by about five to one. It wasn't until much much later that we learned the impact that the PS3 would have on the outcome. Going into CES 2007 the Blu-ray camp had really picked up a lot of steam after an embarrassing start. We knew things were far from over, and Blu was looking good. It didn't stay that way for very long as the Red camp picked up it's second hardware manufacture -- no we don't count the RCA -- and a big one at that, as LG not only announced the first dual format player at CES, but it actually hit the streets a week or two later. The rub was of course that although it would play HD DVD movies, it didn't support HDi, so the best part of HD DVD was not included. But LG wasn't the only one with a surprise at CES, as Warner was there to announce its Total HD disc. Sure it seemed like a good idea at the time, but it was short on details and seemed like a permanent solution to a temporary problem. Towards the end of 2006, both formats were seeing moderate success, and although HD DVD had outsold Blu-ray every week of year, the charts pulled a 180 half way through December and Blu-ray was off to a good start in 2007 -- it went on to win every week that year. 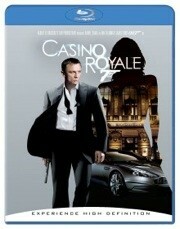 The first title to really move any volume was Casino Royale, which Sony touted the fact that it shipped over 100k copies, but unfortunately for Blu, only half of them were actually sold. At this point, many analysts believed that the HD movie market was Blu-ray's for the taking. Sales were good, but Blu-ray wasn't doing anything to seal the deal, and after a few months of silence, HD DVD got a break in the way of a fantastic rumor that seems downright silly in hindsight. How so? In April of '07, $300 for a Chinese HD DVD player at Wal-Mart sounded like a great deal, but a week later we learned there wasn't much to the rumor, but of course HD DVD had the last laugh as Toshiba brand HD DVD players were available for $98 at Wal-Mart during a pre-Black Friday sale in November. The Blu-ray Disc Association wasn't going to take this lying down, and somehow managed to get Blockbuster to announce it'd only carry Blu-ray titles in many of its stores. Many still believe that there was some sort of deal going on here, and although it was argued that this was a non-announcement, we heard at least a few sales people say something like "if you want'a rent movies, then Blu-ray is for you" -- despite the fact that it wasn't true. Then, in the Fall of '07, HD DVD dropped the bomb on the BDA, one that could've very easily been the watershed moment that shifted things in its favor. Paramount and Dreamworks announced it would no longer release its movies on Blu-ray. This was very sudden and in fact one title (Blades of Glory) still managed to make its way on to Blu-ray and still goes for a premium on the second-hand market. 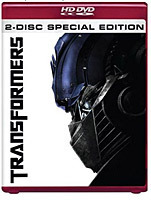 Many were predicting that this was the first of many defections from Blu-ray, but rumors quickly surfaced indicating that there was a backdoor deal involved and while it was never definitively confirmed, many believe Paramount made out. But not everyone working with Paramount was on board, as Michael Bay was already planning on releasing his latest project on Blu-ray, and was not bashful about voicing his beef with the fact that Transformers wouldn't be released on Blu-ray. Toshiba's new alliance with Paramount soon paid off as Transformers set new records for sales, but it wasn't enough to take that week's Nielsen VideoScan numbers as Blu-ray's defensive buy one get one free offer kept Blu ahead by a mere 1 percent -- the closest Red ever got to winning a single week since December of '06. Moving into the holiday season, Blu looked like it had an answer for every HD DVD offensive and even though HD DVD had a few very successful hardware sales before Thanksgiving, the Nielsen VideoScan numbers continued to show Blu-ray with a solid lead -- many considered media sales the most important metric when measuring the success of a format. But regardless of sales, it seemed like a stalemate and many wondered if it'd ever end. What we didn't realize was that when Warner decided to kill off its Total HD disc plans, that soon after it'd make a move that would be remembered as the one thing that sealed the deal for Blu-ray. We did suspect something was up because for the first time ever Warner released a Blu-ray title with arguably better specifications than its HD DVD counterpart, and consumers finally had a choice between HD DVD's interactivity or Blu-ray HD supplements. It wasn't long before we learned that more people chose the Blu-ray version and we believe this is a big part of the reason why Warner eventually made the decision that it did. Meanwhile, the Blu-ray spec continued to be a work in progress as Sony released a firmware update for the PS3 that -- among other things -- made it the first Bonus View (Profile 1.10) compatible player. Leading up to CES 2008, we heard many rumors that Warner was going to make a move and many of our readers were convinced that Warner was going Blu and that it'd mean the end for HD DVD. And just before the big show, Warner dropped the final big bomb on Red, letting the whole world know that it was over between 'em. As we all expected, rumors of payoffs were in the air and we have no doubt some sort of deal was made. 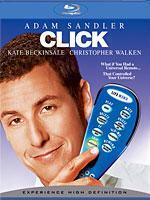 Warner insists it was doing what it thought was best for the home media business -- of which Warner owns most of. After Warner's big announcement, we wondered how HD DVD would (or could) fire back, but for the first time, we think Toshiba was caught off guard, as not only was the HD DVD CES press event canceled, but the official response to Warner's move was down right somber. After the dust from CES settled, things really started to get interesting as the HD DVD camp starting seeing defections right and left, and although it held on to its core by not losing any studios, companies like Netflix and Wal-Mart seemed to know something no one else did. At this point we're not sure which came first, but regardless, within a week of Netflix, Wal-Mart and Best Buy announcing their love for all things Blu, the rumors of the official end for HD DVD starting coming in so solid that not even the most devout HD DVD fanboy could feel at ease. Finally, Toshiba held a press conference in Japan that would effectively and definitively end the HD media format war after 1 year, 10 months and 5 days. In retrospect, it was the PS3 and its owners who won the war for Blu-ray. Despite what many believed, PS3 owners were buying Blu-ray movies and although it was a small fraction, it was enough to convince the studios Blu-ray had the most potential to be the next physical format -- that and because the BDA was willing to offer a few anti-consumer features like BD+ and region coding. We can certainly appreciate Toshiba not having any regrets about the way it approached HD DVD, and although it didn't win when it was all said and done, we believe HD DVD did successfully pressure Blu-ray to step up its game. Red forced Blu to be more concerned about its transfers and authoring, to reduce prices earlier than it may have liked, and to market itself more heavily than if there was no format war at all.